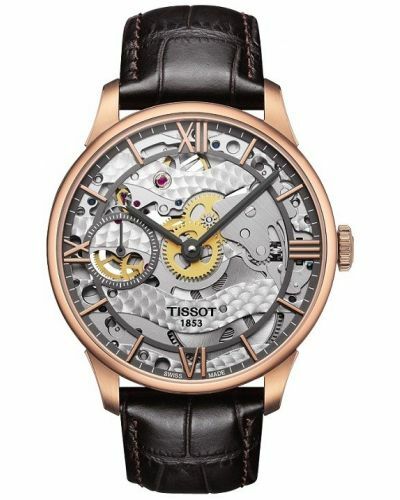 Modernity meets meticulous craftsmanship with this incredible skeleton masterpiece. 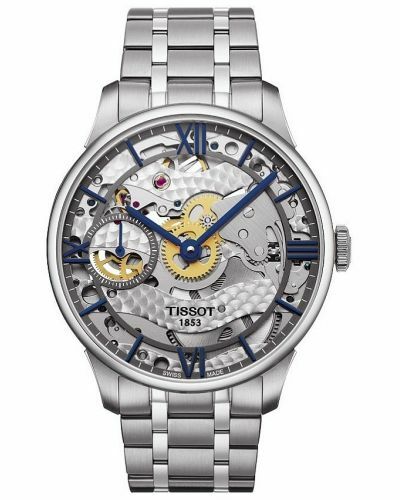 This stunning steel cased watch is perfect for wearers that love to see what links traditional with contemporary styling. 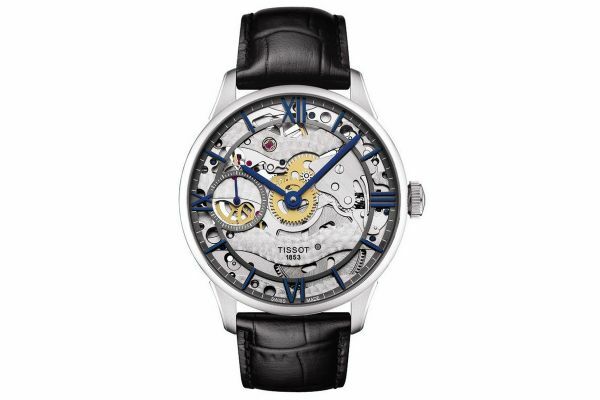 A true future classic design, this watch is an eye catching statement piece. Hand winding every day will remind you of what complexities lie within. 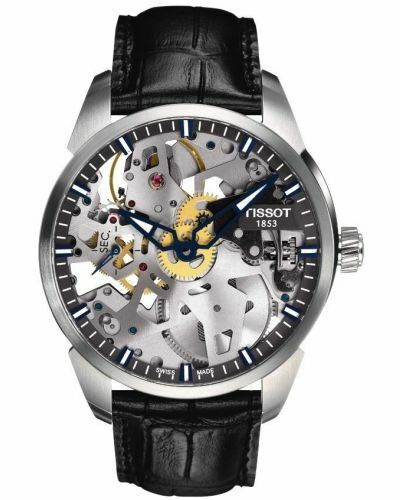 For us to size your new Tissot Squelette watch as accurately as possible, please take a look at our downloadable Watch Sizing Guide.